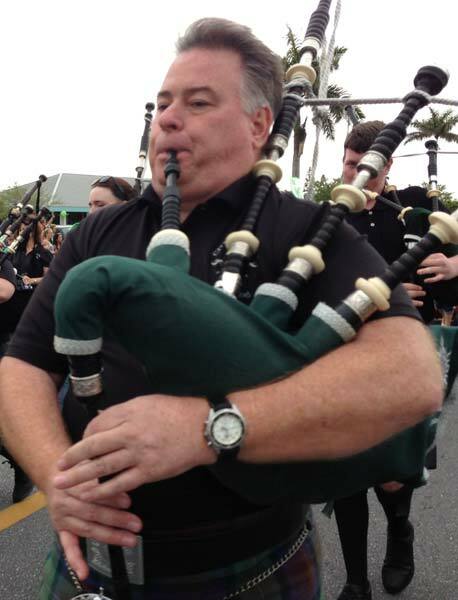 Islanders love a parade — especially a St. Pat Parade! 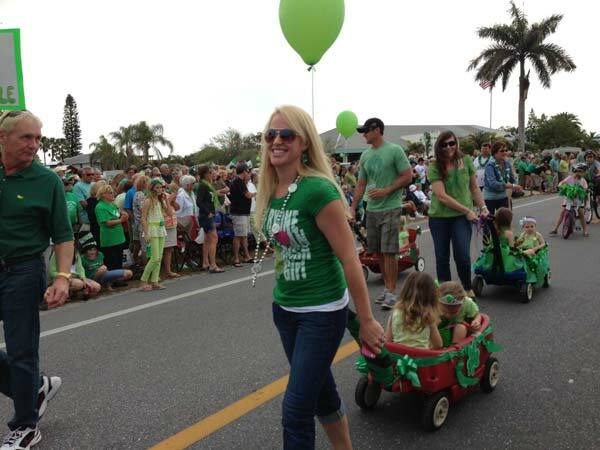 Parade enthusiasts, including Pam McFortenberry, far right, goes wild with anticipation as the Beach Bistro St. Patrick’s Day Parade steps off from Holmes Beach City Hall, 5801 Marina Drive — right on time at 4 p.m.
A bagpiper with the City of Sarasota Pipe Band. 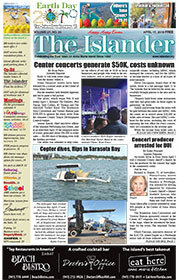 Shriners entertain the St. Patrick’s Day parade enthusiasts. 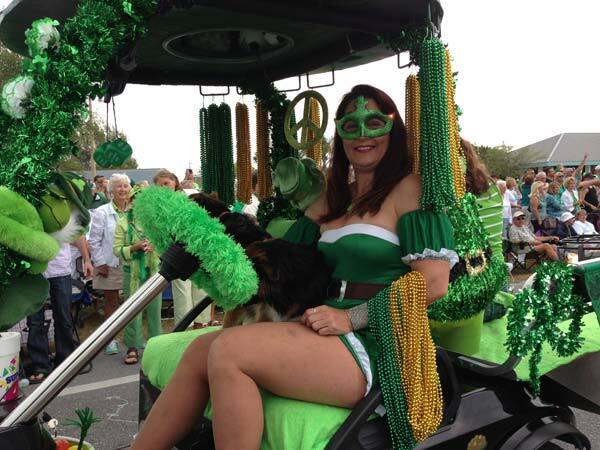 Dawn McWash of Wash Family Construction, awash in green beads and accessories. 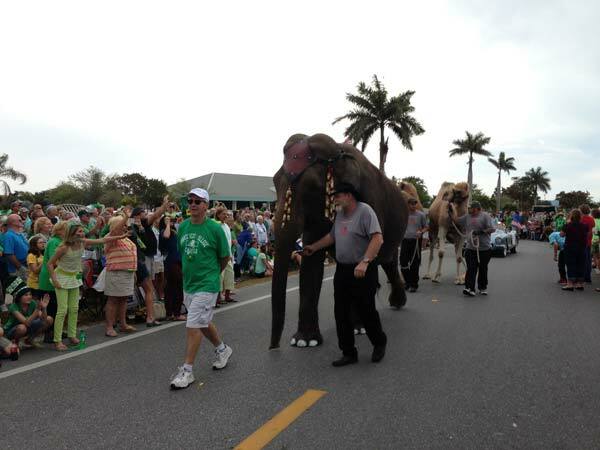 A crowd favorite, Judy the elephant — sporting newly painted toes — follows the lead of Fred O’Sullivan of the Beach Bistro bar and her trainer, trailed by two camels and loads of floats and music in the processional on Marina Drive from city hall to 78th Street, all with a splash of green. 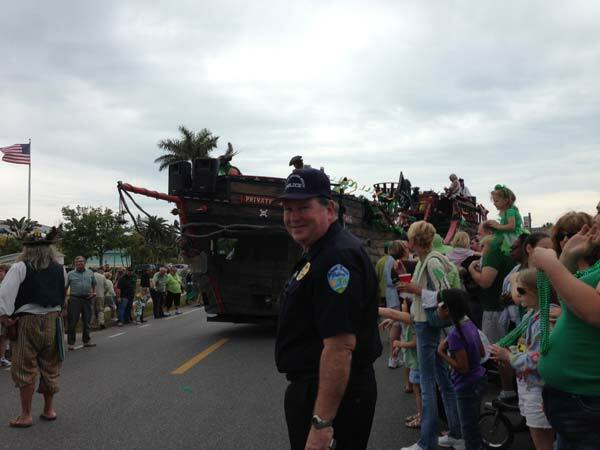 Cop with privateer ship and crowd Holmes Beach Interim Police Chief Dale (Irish for the day) O’Stephenson enjoys his duty at the parade start, keeping pedestrians safe and calming rowdy Privateers — Anna Maria Island Privateers — eager to get in the parade. Alas, they’re always last, canons blasting. 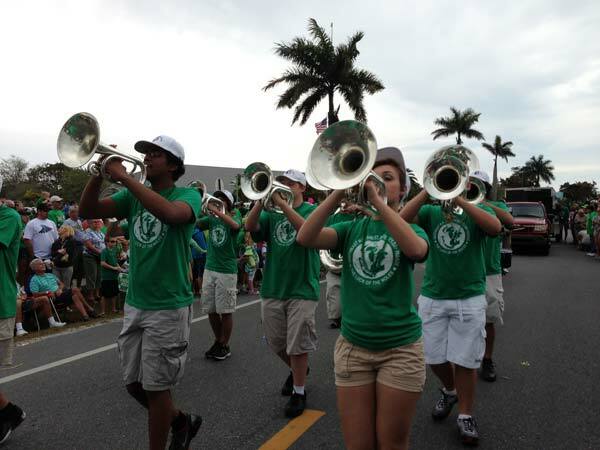 The horn section of Southeast High School’s marching band. 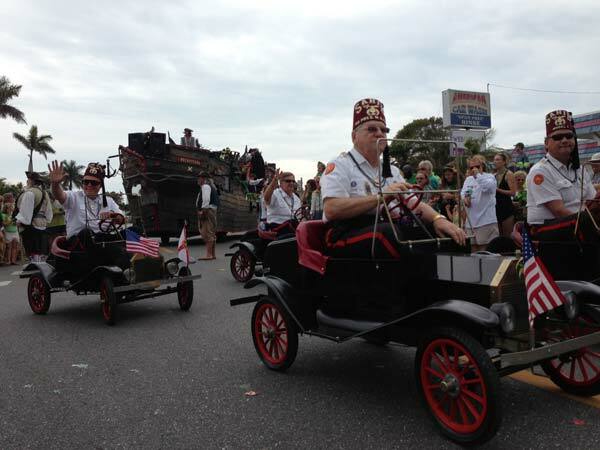 The young Irish — known as the “Wee Ones,” roll in comfort in the parade wagons.